Disclosure: An ARC of this book was provided to me by Mira Books publisher Harlequin via NetGalley. This rating, review, and all included thoughts and comments are my own. Photographer Maggie O'Connell is in trouble. Someone has been stalking her, calling and hanging up, leaving her notes. It's gone beyond creepy to terrifying. She went to the police, but her reputation is still tainted by a horrible mistake she made as a teenager. They neither believe her nor are keen to help her. When the stalker leaves a new message on her car right outside her new condo, Maggie realizes she can't rely on the police. She's left with only one option. Private investigator Trace Rawlins. The minute Trace sees Maggie, he pegs her. Sure, she may be in trouble, but given his history, the fiery redhead is trouble. For him. Things never go well for him when it comes to redheads. He has a weakness for them and it always ends in nothing but grief. He should hand her case off to one of his many capable investigators. That would be the sane thing to do. Of course he takes her case. It doesn't take long at all before he realizes just how right he had been. Maggie's trouble all right. She's obviously hiding something from him. When he finds out what it is, Trace starts to doubt everything she's ever told him. As the stalker's behavior escalates and Maggie's home is breached, neither Trace's trust issues nor the fallout from learning the truth can alter the most pertinent fact. Someone out there has an unhealthy fixation on the fiery redhead...and he may be upping his game from stalking to murder. Sometimes I wonder if I'm just oblivious. How is it possible that I've missed author Kat Martin's romantic suspense until now? 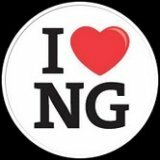 Her smooth writing style provided an easy-to-read narrative, and both the characters and the plot were nicely layered and well developed. The suspense threads were woven together with tight cohesion, some with a subtle touch that provided a few twists and turns I found particularly appealing and added a few different dimensions to the story. I have to admit, though, I'm long past noting a trend that's starting to niggle at me a bit. I seem to read a preponderance of ex-Army/Special Forces/SEAL/[insert specialized military unit here] male lead characters in the romantic suspense genre who open/own their own investigation/protection business. I'm all for powerful alpha male roles, but I wouldn't mind a bit of variety in the type now and again and the market seems glutted with the ex-military types. Regardless, Martin created two lead characters with several defining elements to their characters - not all of them positive - that fleshed them out nicely and made them realistic...if not always all that sympathetic. She did the same with the plotline of the book, adding weight and substance with a healthy number of secondary plot threads and a few ancillary issues that popped up for the characters. It provided a well-rounded and thorough reading experience. That's not to say every element was to my personal taste. It wasn't. I struggled with the romance, and wasn't feeling the chemistry between the characters right away. Trace's interest in Maggie seemed too superficial, focused more on the color of her hair than who she was as a person, to appeal to me. He also had some fairly intense trust and intimacy issues, none of which I felt were satisfactorily addressed in the story beyond highlighting why they exist. I can't say his personality held universal appeal throughout the book. Unfortunately, neither did Maggie's. I had some significant issues with her lack of honesty in several places. While I could understand her past transgression...in theory...it's sort of my definition of heinous, and frankly, I never felt a lot of sympathy for her from that point on, no matter how nice a person she turned out to be. Maybe I lack a sufficiently forgiving nature. Had she not also held critical information back from Trace on more than one occasion, I may have felt differently, but as much as I disliked Trace's trust issues, I have to admit, with Maggie, he was a little justified. The secondary storyline with Maggie's sister was nice. I enjoyed that a lot. I wish it had been given a bit more page time, because I liked Ashley's character and her backstory had some meat on its bones. Same with Jason's character and backstory. Their burgeoning relationship, their storyline, was nicely blended with the main suspense storyline and added a nice balance to whole of the book. Martin's suspense was carefully plotted and nicely detailed, with enough twists and turns to keep it interesting. The main characters weren't consistently appealing to me, though, and that threw off my appreciation of the romance. 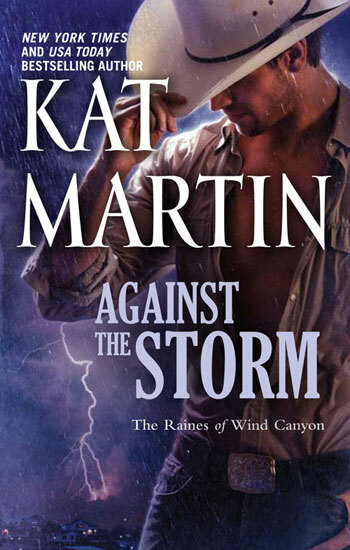 Still, I can't help but be inordinately pleased to have come across Kat Martin's romantic suspense, and now that I have...well there are three books in this series that I haven't read yet. I'll be taking care of that oversight, I assure you.